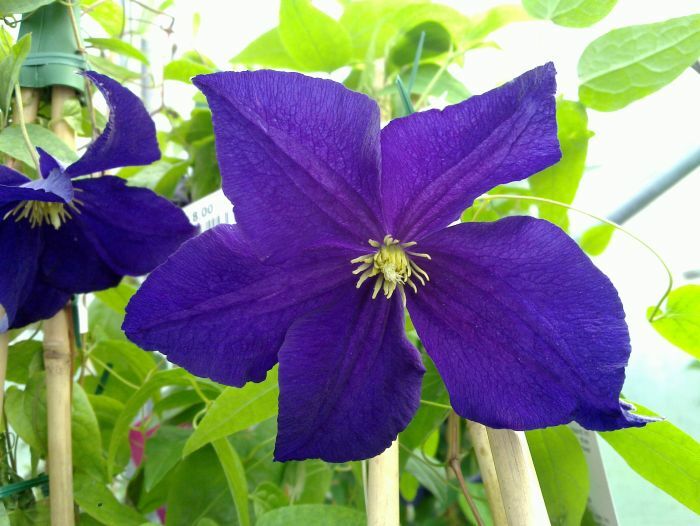 Clematis Viola has a fair sized flower around 6" diameter. 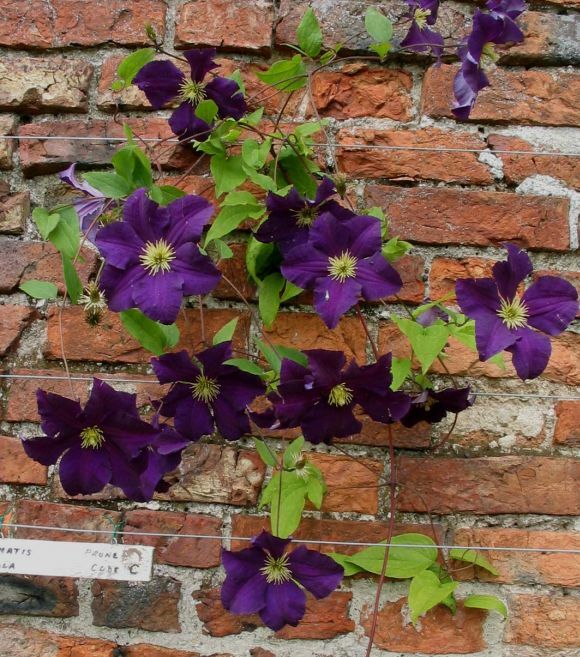 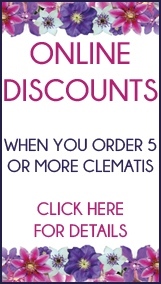 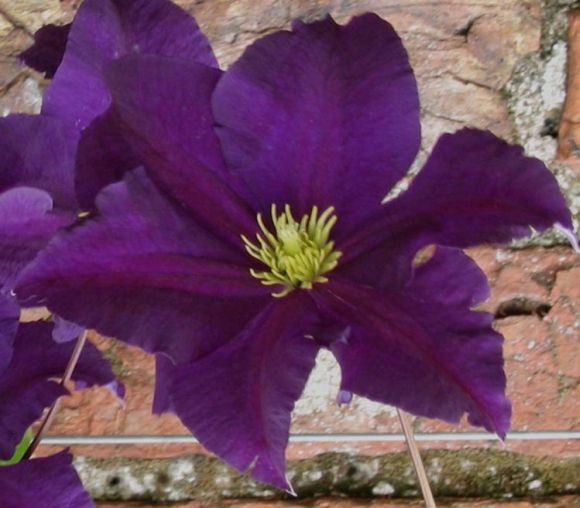 - Clematis Viola can be planted in any aspect, in the ground or in a pot, and will reach heights of 8-10 feet. 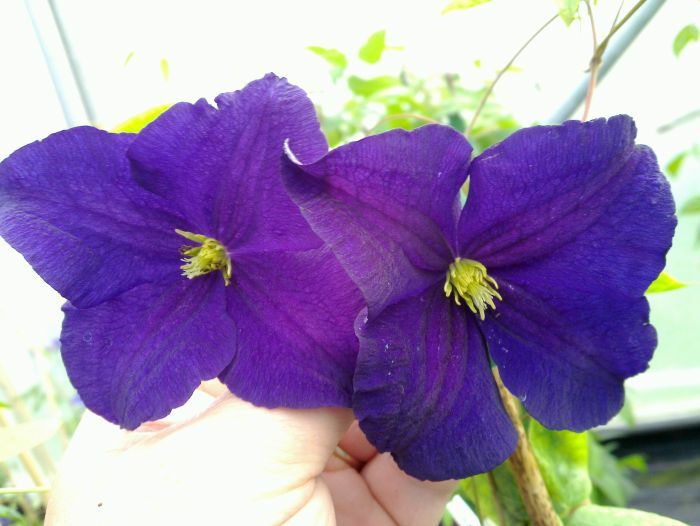 Hard prune back to 18 inches in spring.